Our client list includes Fortune 500 and new startups with projects ranging from one million square feet to a single person home office. 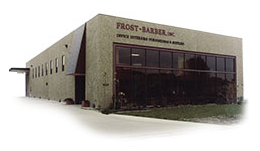 Frost-Barber specializes in office furniture solutions for higher education, healthcare, state & local government, financial institutions, industrial, petro-chemical, legal, and biotechnology. Please see our projects.